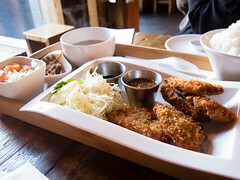 Koyoi is a Japanese izakaya situated near Yonge and Bloor. I first visited back in 2010 when they were still under a year old and I am surprised it’s taken me this long to make my way back. Atmosphere: Since I was the first of my party to arrive and the weather was clear and crisp, I opted for a patio seat so I could spot everyone else as they showed up. Koyoi has a great wooden patio furnished with benches all along the sides facing Irwin Ave. There’s little to no car traffic and you can people watch pedestrians strolling Yonge St. I think there’s as much square footage outside as there is inside the restaurant. 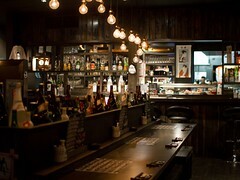 This would be a great place for after work drinks in the summer. Service: While I waited, our server checked in on me periodically and didn’t rush for an order. We were cutting it close though to the end of happy hour (5pm to 6pm, Tues – Thurs), which offers five popular menu items for $5 each with a drink order. 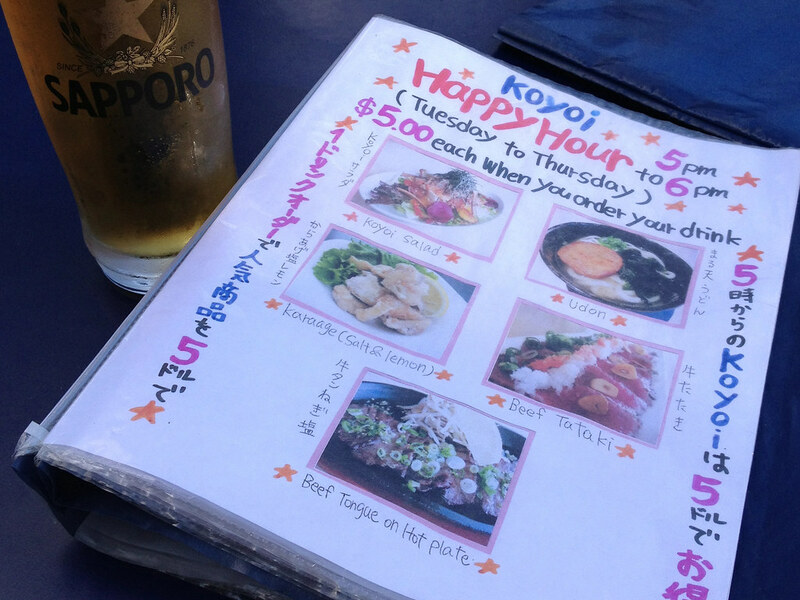 Our server was happy to let me order one of everything, combined with the Tuesday drink special of $5 Sapporo pint on the cuff at 5:55pm. 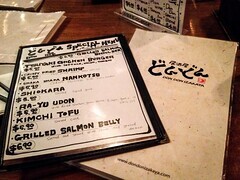 Food arrived quickly, we were able to add items to our order. Once our table was complete, we were left to chat undisturbed. I did have to go inside and track someone down to get our bill at the end of the night. 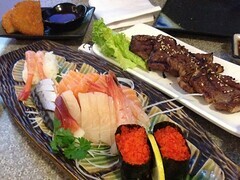 Food: To start, we ordered each of the items from happy hour special. 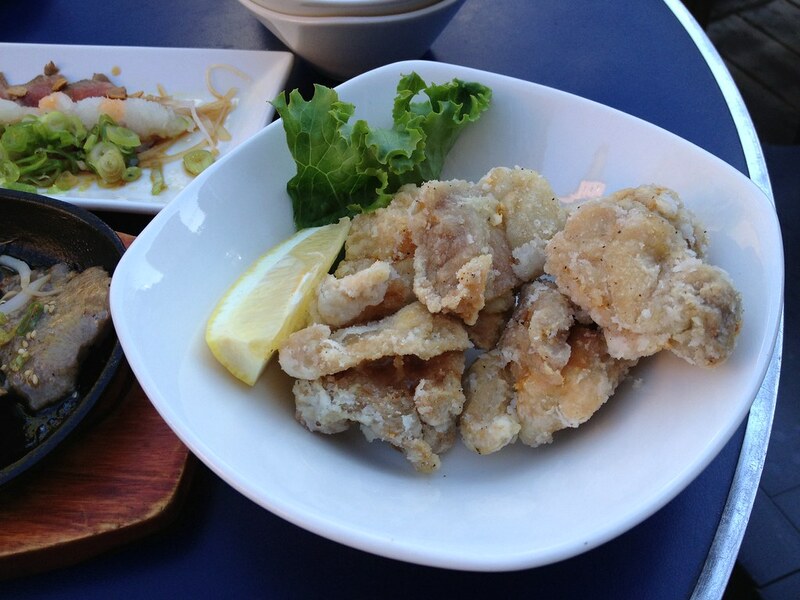 The dishes are normally priced from $5.50 (karaage) to $7.99 for the beef tongue. The Koyoi salad is a surprise hit. The sauce is miso and lemony topped with paper thin slices of fried potatoes and seaweed. 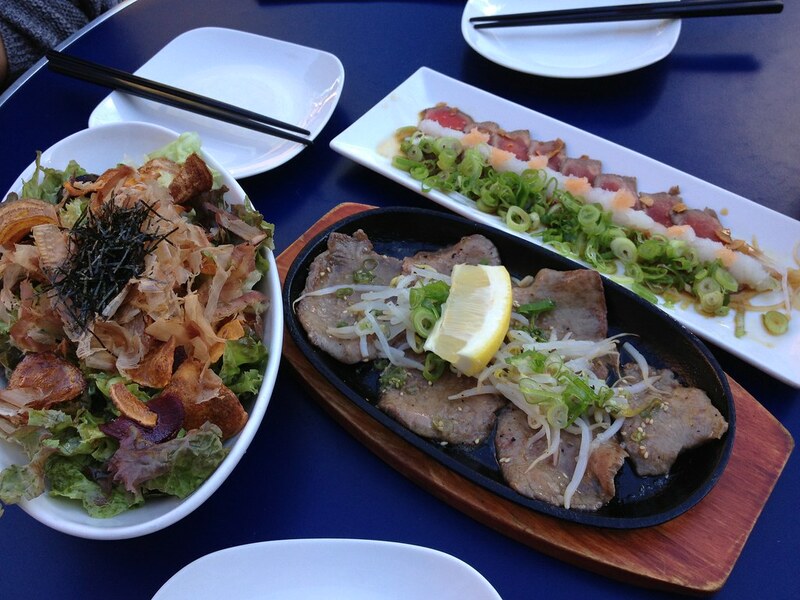 The beef tataki is fresh, topped with shredded daikon, a generous portion of scallions and ponzu sauce. 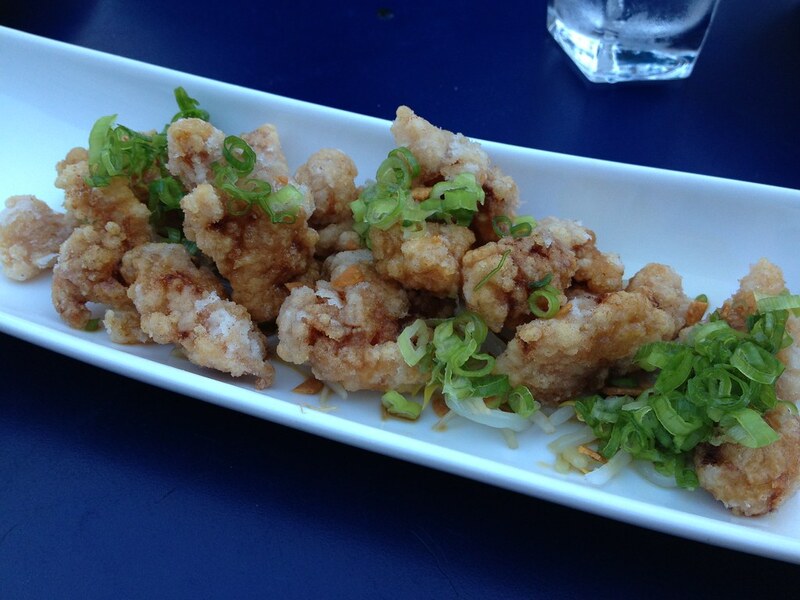 This dish is sweet with a touch of wasabi like taste from the daikon. The sizzling plate of beef tongue was served hot and the meat was tender, not rubbery. 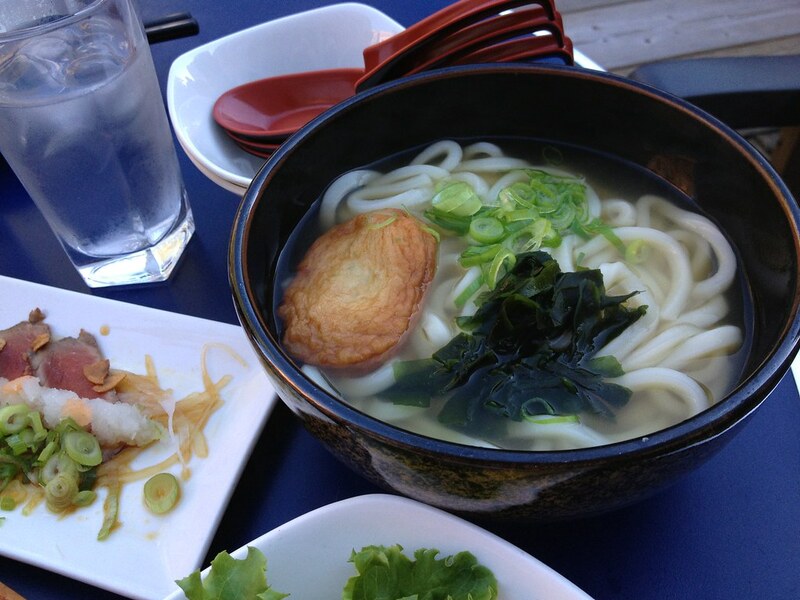 The udon and karaage are fairly standard. Well cooked noodles and crispy fried chicken, low on the batter. 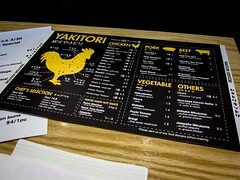 From the normal menu, we ordered the fried gizzard and okonomiyaki. The gizzard was topped with a sweet and spicy sauce, like the tongue, this dish was cooked to just the right texture. For those who haven’t had gizzard before, the meat is chewy as it’s mostly muscle but cooked correctly, the centre should be soft and easy to bit through. 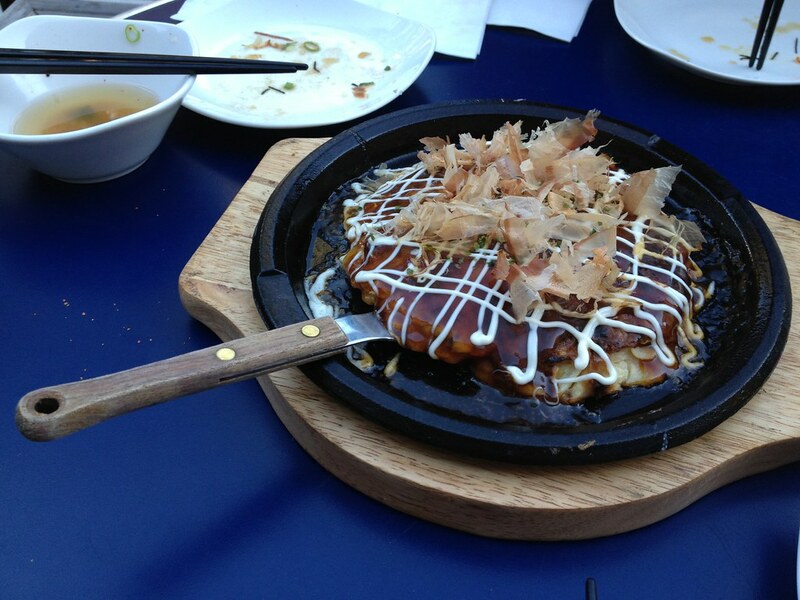 I liked the okonomiyaki. The flavours were all there but the consistency was more batter than cabbage and it didn’t stand up to being split. MUST TRY THE CURRY CHEESE FRIES. I’ll have to try those next time!